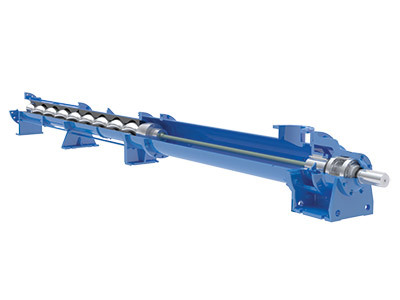 The Epsilon Pump is a line of technically engineered progressing cavity pumps designed to give least whole life costs and reduced spares requirements. The Epsilon Pump incorporates a PowerDrive™ transmission which eliminates the need for a double universal joint. This competitively priced pump is reliable and efficient when handling abrasive materials, high viscosity fluids, and high head applications.